Gobi paratha is one of the popular South Indian breakfast recipe. 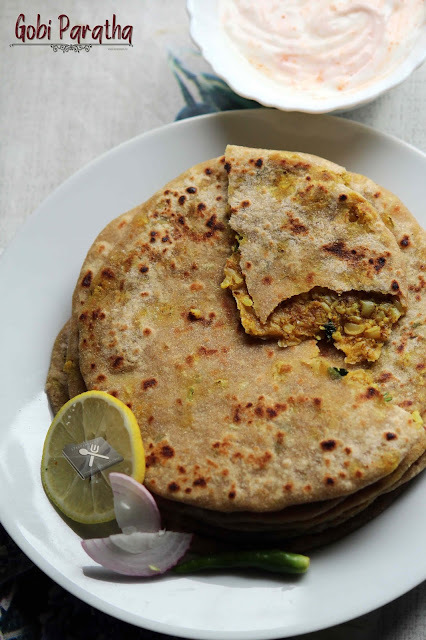 Here stir fried cauliflower is stuffed inside the paratha and tastes really nice. 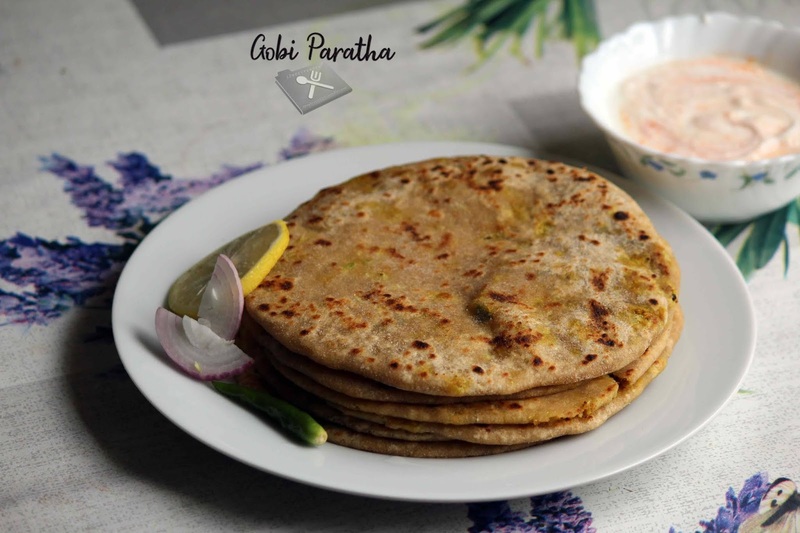 Checkout the video of making gobi paratha to ease your cooking. Also don't forget to Subscribe my You Tube channel: 12recipebook. Mix flour with salt; add hot water gradually and knead in to smooth dough. Wash and clean cauliflower properly. Cut in to extra thin slices like crushed. Heat oil in a non-stick pan; Add cauliflower. Add salt, turmeric powder, coriander powder, pepper powder and garam masala. Add chopped coriander leaves; mix well and turn off heat. Allow to cools down completely before stuffing. Make the dough in to equal medium balls. Take a ball; and roll in to a small circle. Place a tablespoon of cauliflower mixture on centre. Cover the dough again in to ball shape and roll it carefully and slowly in to large paratha by dusting flour and without breaking the filling. Make all the parathas in this way. Heat tawa and cook it on medium flame until both sides are cooked well and golden in color. Apply oil or ghee on both sides while cooking. Serve hot with some raitha, pickle or any of your favorite dip.